deepen your practice. dive into the study of yoga. create a new pathway. We’re beyond excited to officially announce the launching of our first Yoga Teacher Training Program at Coda Yoga Studio beginning Fall 2019. Registration/Application opens March 1st, 2019. The Coda Yoga Studio 200 Hour Vinyasa Yoga Teacher Training Program is built upon the core values of education, excellence, innovation, dedication and leadership. Our main reason in developing this program is to inspire a community of practitioners to deepen their knowledge and understanding of this ancient tradition, as well as to create an opportunity for expansion in their practice and potential career in the field of Yoga. Come see what sets us apart in the world of Yoga education, and take part in this transformational training, bringing new depths to your journey in Yoga. How to build community and inspire others! The Coda Yoga Studio Vinyasa Yoga Teacher Training Program is approved by the Wisconsin DSPS - Educational Approval Program. The school’s curriculum follows the Yoga Alliance guidelines and is a Registered Yoga School (RYS) with Yoga Alliance. We’re dedicated to instructing and educating with strong integrity and deep respect to this transformational practice. Students applying to this program should have a strong desire to commit to the study and practice of yoga, and expect to challenge themselves and work hard. Our program aims to inspire, create and graduate exceptional teachers of yoga, so our standards are set very high. For this reason, we’ve limited the number of students accepted into the program to allow for ample and individual time and attention given to ensure each students’ skill development. A Yoga Teacher Training program requires a deep passion for Yoga, and is both a financial and time commitment. Because of this, we recommend anyone looking at taking a teacher training program to begin their research in choosing a program by learning about the studio, the trainers, and the curriculum to make sure it fits their individual needs. No two Teacher Training Programs are alike! A group of teacher trainees become like an extended family, and it’s important to make sure that you feel that our studio and our school is right for you! Our program is open to all students interested in deepening their practice or whom aspire to become a yoga teacher. Applicants should have an established yoga practice of at least one full year. (*Note, you do not have to be able to perform all postures learned in this program. Just an established practice, meaning some experience with yoga). 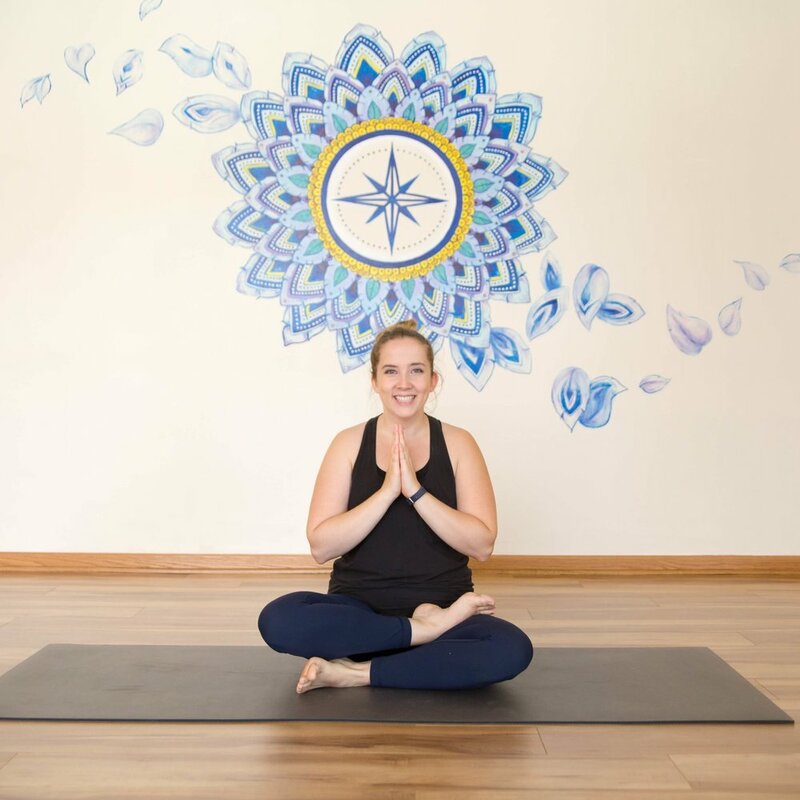 Applicants are strongly recommended to be acclimated with the studio, or at the very least, should meet the Lead Trainer, Lara Lirely, and attend one or two classes at Coda Yoga Studio prior to making this commitment. Attendance at each scheduled session is required and expected. Missed sessions must be made up to receive all required hours to qualify for graduation and certification. Please check the scheduled meeting dates and discuss any issues at your initial program interview. We’ll meet, weekly, from 730am to 530pm and our day consists of lectures, discussions, morning practices, presentations, journaling, and group work. We’ll have morning and afternoon breaks, as well as a short lunch break. Yoga Teacher Training programs are immensely transformative, challenging, inspiring, and root you deeply with this beautiful practice, lighting a fire in you to go into the world and share your passion. We’ll work together to develop individual skill, broaden our minds, introduce new concepts, and set the stage for you to move into your new path in Yoga. Our program includes 240 total hours of study. 199 of those hours are considered ‘contact hours’ (classroom hours with a trainer), and 41 hours are considered ‘non-contact hours’ (self study and homework). Our curriculum meets all the standards set by the Yoga Alliance guidelines for a 200 Hour Registered Yoga School. With successful completion of this program, students may apply to register with Yoga Alliance, the national registry of Yoga teachers, as a 200 Hour Registered Yoga Teacher (RYT-200). We strongly recommend reading our full School Catalog for complete information. Contact us below to receive a copy of our Catalog and ask us any questions! Thank you! Our School Director will be in touch ASAP!